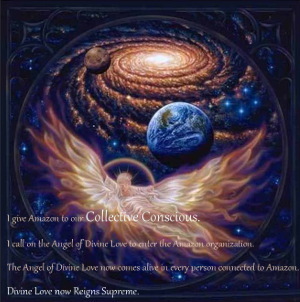 Why do we want Amazon in our collective conscious? 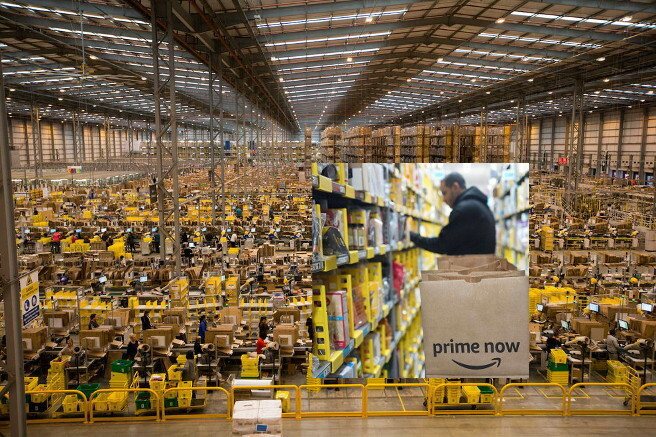 An Amazon warehouse is as large as 86 football fields joined together. The mammoth space dwarfs workers. The cost of creating and stocking one of these behemoth warehouses is astronomical. Perhaps to make the cost more palatable to investors, or Jeff Bezos himself, workers pay is reduced. I am reminded of a Nathaniel Hawthorne story in which an otherwise beautiful woman has a birthmark on her face. The man who loves her wants the birthmark removed so that she is no longer marred. The surgery is scheduled and the removal is complete. But, instead of being perfect, the woman dies. My thought is that Amazon is not perfect. It makes me sad when I receive a box of things I’ve ordered and I think about the workers who packed that box but aren’t paid enough to take good care of themselves or their families. Paying workers too little is like removing a birthmark on an otherwise beautiful woman. 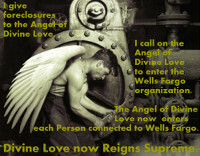 The higher pay mars the bottom line, but it is essential to the life/lives it’s a part of. 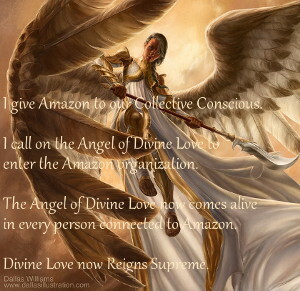 I believe that if we put Amazon in our Collective Conscious, if we Give Amazon to the Angel of Divine Love… that is, our Collective Conscious, that Divine Love will reign supreme. 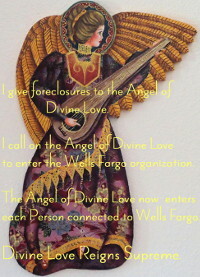 Amazon Awareness Day 1 ~ We have a fight with Amazon, it is our basic fight to make the most of good things. 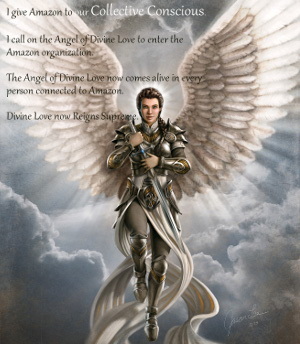 Amazon Awareness Day 2 ~ Dark and light Amazon draws our attention. For those of us who want a living wage for workers, Amazon’s dark side brings sadness. 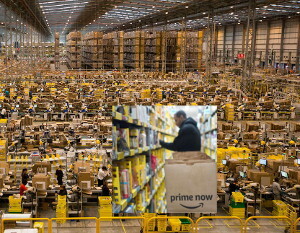 Amazon Awareness Day 3 ~ Hungry Capitalism works like a hungry animal. To eat an animal from a herd, the hungry animal separates its target from the herd’s protection. Hungry Capitalism is not match for our Collective Conscious. 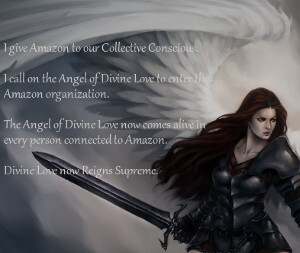 Amazon Awareness Day 4 ~ Our Collective Conscious is powerful. It is Good. 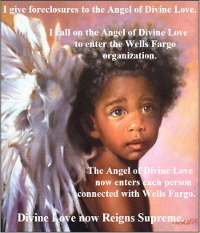 It is our way to bring Thriving wages to people not just in the United States, but around the world.